Many clinical trials on chiropractic management of low back pain have neglected to include specific forms of care. This study compared two well-defined treatment protocols. The objective was to compare the outcome of flexion–distraction (FD) procedures performed by chiropractors with an active trunk exercise protocol (ATEP) performed by physical therapists. A randomized clinical trial study design was used. 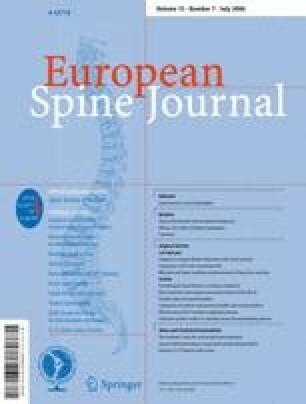 Subjects, 18 years of age and older, with a primary complaint of low back pain (>3 months) were recruited. A 100 mm visual analogue scale (VAS) for perceived pain, the Roland Morris (RM) Questionnaire for low back function, and the SF-36 for overall health status served as primary outcome measures. Subjects were randomly allocated to receive either FD or ATEP. The FD intervention consisted of the application of flexion and traction applied to specific regions in the low back, with the aid of a specially designed manipulation table. The ATEP intervention included stabilizing and flexibility exercises, the use of modalities, and cardiovascular training. A total of 235 subjects met the inclusion/exclusion criteria and signed the informed consent. Of these, 123 were randomly allocated to FD and 112 to the ATEP. Study patients perceived significantly less pain and better function after intervention, regardless of which group they were allocated to (P<0.01). Subjects randomly allocated to the flexion–distraction group had significantly greater relief from pain than those allocated to the exercise program (P=0.01). Subgroup analysis indicated that subjects categorized as chronic, with moderate to severe symptoms, improved most with the flexion–distraction protocol. Subjects categorized with recurrent pain and moderate to severe symptoms improved most with the exercise program. Patients with radiculopathy did significantly better with FD. There were no significant differences between groups on the Roland Morris and SF-36 outcome measures. Overall, flexion–distraction provided more pain relief than active exercise; however, these results varied based on stratification of patients with and without radiculopathy and with and without recurrent symptoms. The subgroup analysis provides a possible explanation for contrasting results among randomized clinical trials of chronic low back pain treatments and these results also provide guidance for future work in the treatment of chronic low back pain. The authors thank the Health Resources and Services Administration (HRSA) for their financial support (Grant # R18 AH 10001), National Chiropractic Mutual Insurance Company, and many chiropractic physicians for their generous donations. We also thank James Cox, DC and Timothy Carey, PhD, Rita Ator, PT for providing invaluable consultation and the clinicians, physical therapists, student assistants, study patients, and clinic support staff for their help with this study.